If you are a modern belle looking to infuse your southern roots, we have you covered with this new collection from Taylor & King. These pieces are the perfect options for a Black Southern Belle who lives in a condo or a modern home. They are the perfect combination of modern, tradition and gold. The Marcus Chair is a streamlined take on the swivel chair, with its tailored skirt, clean lines and high back that shows off the fabric beautifully. “Mystic Gold” is a metallic linen print that adds just the right amount of opulence to any space. 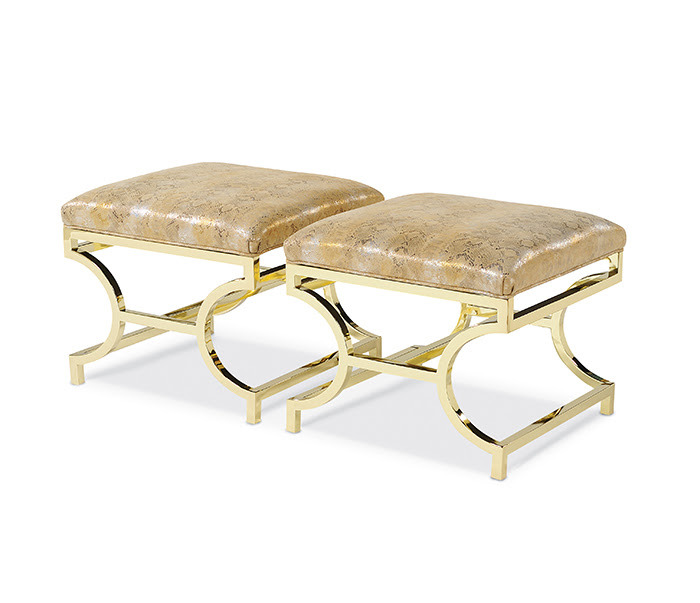 Like jewelry for the home, the Cotai Ottoman makes a fashion-forward statement with its “Gold” finished metal frame and “Snake Champagne” textured leather… the perfect way to add tasteful allure to any living space. 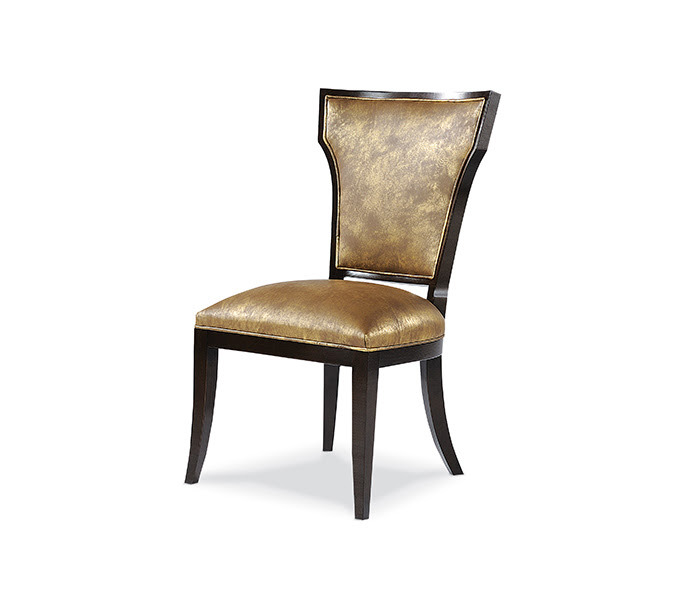 “Draker Gold” Italian leather lends timeless luxury to the Celine Chair with its tight grain and hand-brushed gold metallic finish. The wood frame is finished in “Brierwood” for a sleek, formal look. 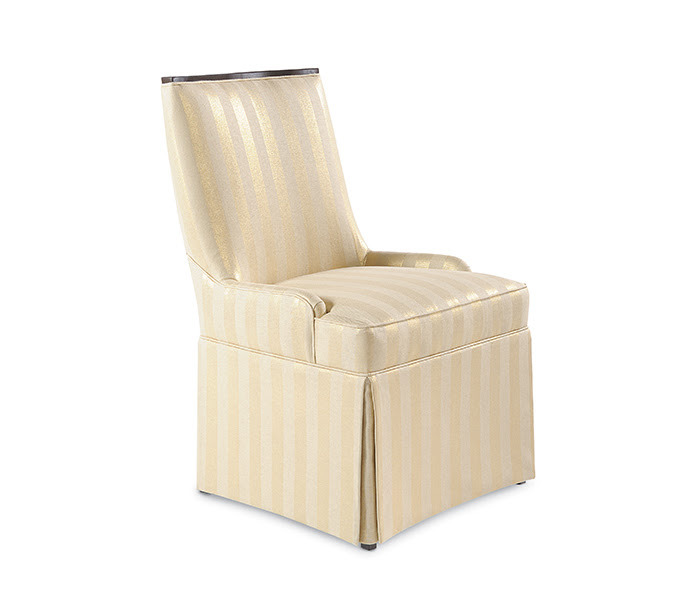 “Shanna Dune” fabric features vertical stripes in a pale gold metallic, emphasizing the Joy Chair’s high back and elegant, tailored skirt. 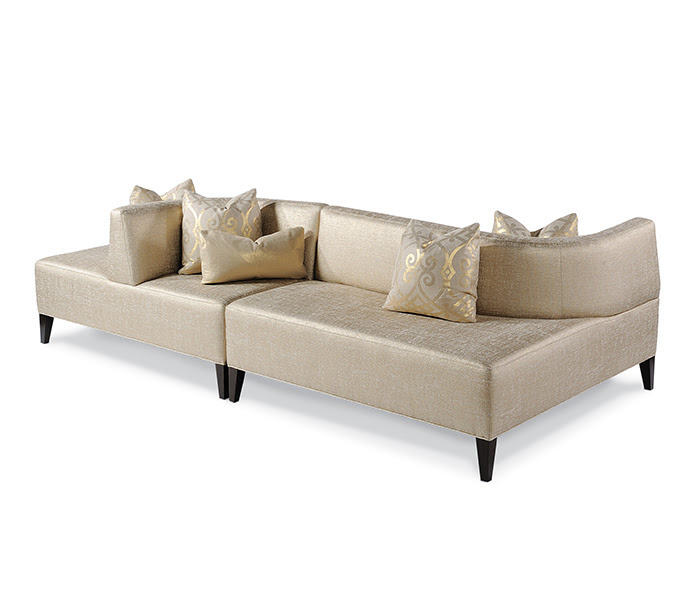 Subtle low arms and an exposed wood top rail add an elegant design detail. 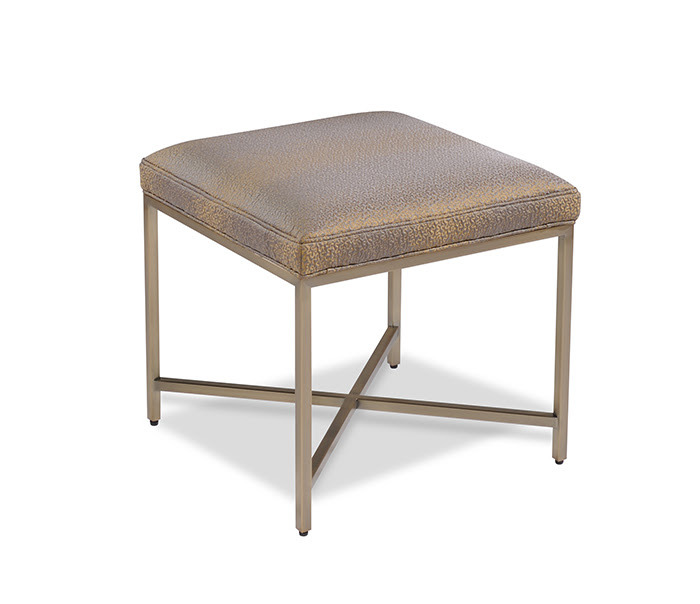 A bronze-finished metal frame gives effortless metallic style to the Lowell Ottoman, the perfect go-anywhere piece. “Dondolare Bronze” fabric boasts an on-trend, iridescent sheen, perfect for those who prefer understated glamour. 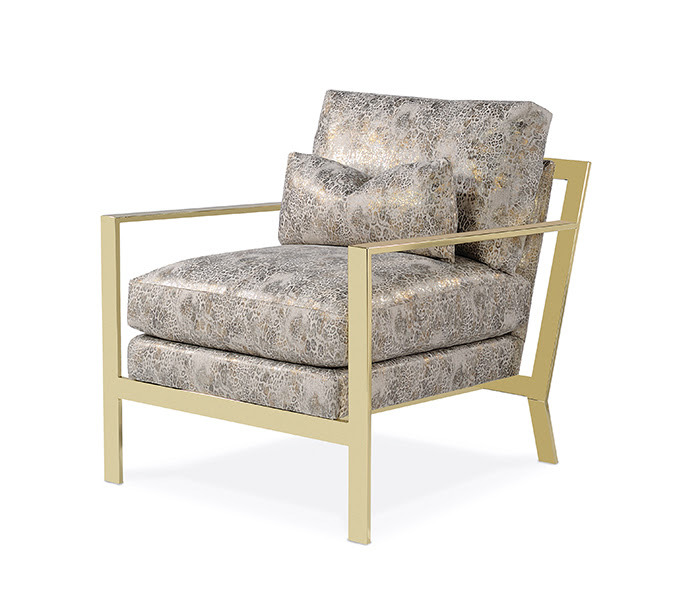 Shown in “Leopard Metallic,” a printed linen, the Vega Chair makes a stunning statement. A chic, gold metal frame adds a timeless touch to this clean-lined, contemporary frame style. 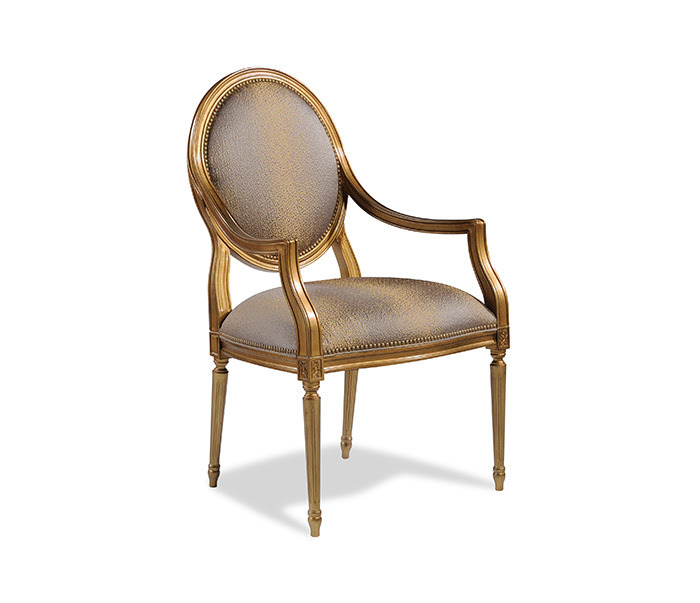 A “Goldleaf” finish modernizes the Moncler Chair’s traditional wood frame. Iridescent “Dondolare Bronze” fabric adds another touch of contemporary elegance, giving aesthetic balance to the timeless, carved design. An entertainer’s dream, the Sorensen Sectional features a smartly designed modular system with a variety of possible configurations. 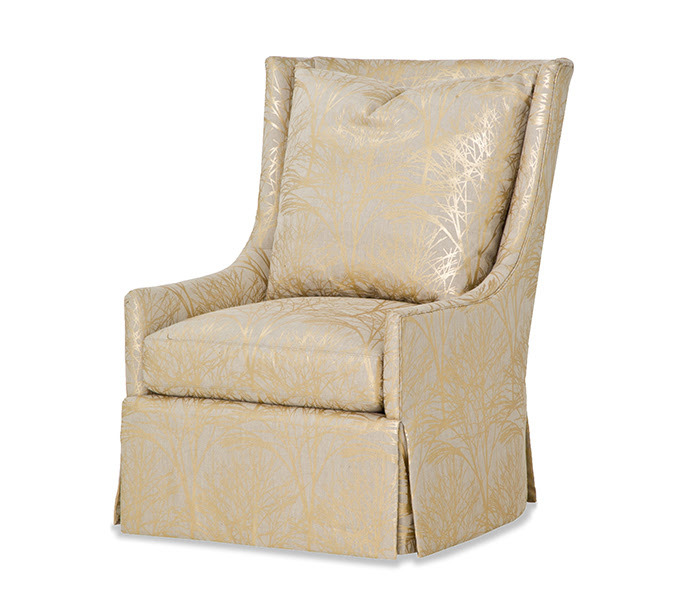 Shown in “Sultry Gold” fabric, the Sorensen is the ideal showpiece to float in the middle of a space, from a formal living room to an opulent walk-in closet.